Beware the housebound kitty-cat. Japanese lore tells us that if you keep a cat as a pet too long, its tail will split, it will begin walking on its hind legs, and that beloved kitty may just hunt you down. Japanese mythology teems with tales of supernatural cats, which have in turn inspired generations of artists. 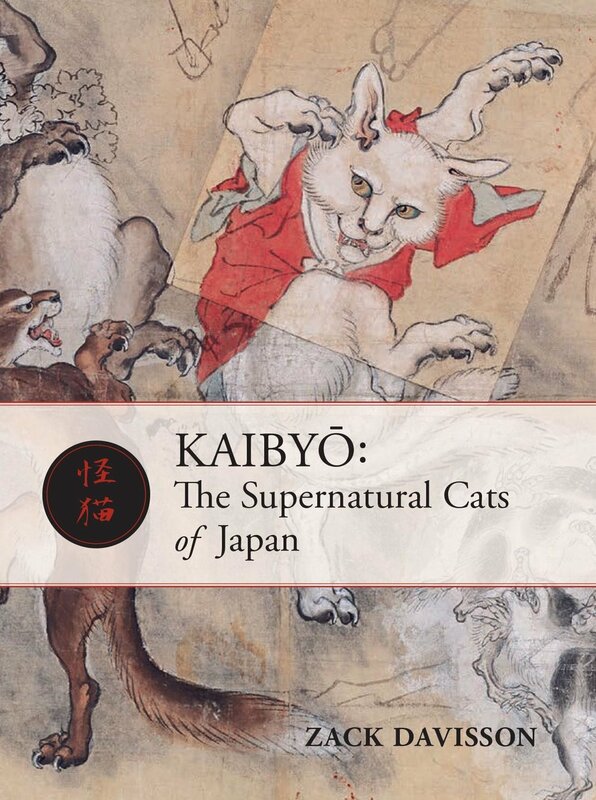 Kaibyō: The Supernatural Cats of Japan is an in-depth exploration of these sometimes charming, sometimes gruesome feline creatures and spectres of Japan. Folklore expert Zack Davisson illuminates this vast realm of kaibyō, or supernatural cats, with historical and modern cultural context. Lushly illustrated in full color with dozens of ukiyo-e and drawings. A must have book for the Japanophile and cat-lover alike! Click here to buy a copy (or two!) The link will take you to the Chin Music Press store. Zack Davisson is an award winning translator, writer, lecturer, and scholar of manga and Japanese folklore and ghosts. In addition to Kaibyō: The Supernatural Cats of Japan, he is the author of Yūrei: The Japanese Ghost, and Yokai Stories. He is also the folklore expert and essayist for Wayward from Image Comics.